My Take on ZOOM Courier Services - Should You Choose ZOOM? Online selling has become the trend these days. People prefer shopping online instead of enduring long hours being stuck in traffic. Aside from this, there's less expense from commuting, buying meals or buying that overpriced coffee. (Haha) Being a work-from-home mom myself, I have come to depend on online transactions to save me time and money. You see, I am an online shop owner as well. As a mom of three who wants to be able to watch over my kids while earning extra for their needs, I've decided to brave the competition and open up my own shop as well. (See Shoppers Stop Online Shop) Founded in 2012, when I was still pregnant with my eldest, my shop offers everything you need. Clothes, shoes, bags even food and gadgets, name it. I have it. 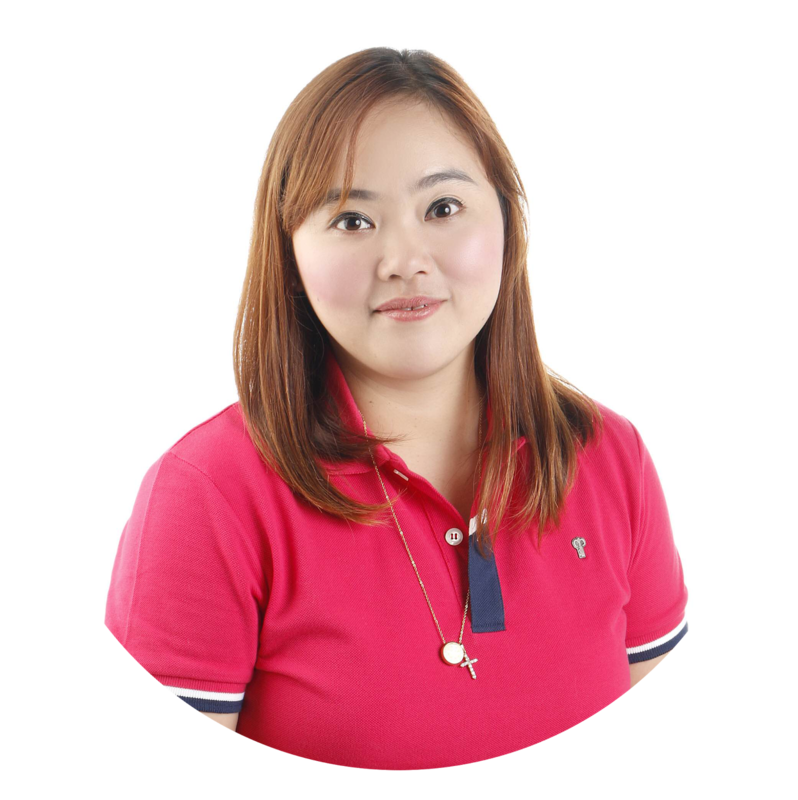 I like keeping my 3 essentials for successful online selling as well as online shopping list handy so that when the need arises, I get to remind myself why I am doing this. First, my gadgets - my cellphone and laptop which is where the action happens. From taking pictures of my products, to uploading, to promoting and closing a sale, these two are super important to me. Second, my notebook where I list my stocks and orders so I won't confuse one from the other and of course, third - a reliable courier service. I have tried so many courier services in the past years. There are some who where okay at first and then eventually our professional relationship fizzled out after so many glitches that I decided to open up my business to a multitude of couriers so I won't be disappointed. I won't namedrop but if you are an online seller like me, you would know what I'm talking about. I have experienced losing shipments, delayed pick-ups and even paying exorbitant fees just for a small sized package. It was really frustrating. Just recently, I have experienced waiting for weeks without feedback from a courier service provider because it took them a while to pick up my parcel. I had to refund the money my customer paid. So I hunted for another delivery service and I have found ZOOM. ZOOM started in 2016 but I only recently heard of them during the latter part of 2017. 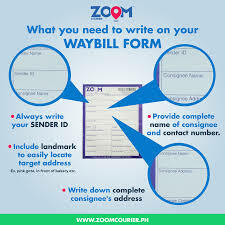 I happened to be scouting for a courier to deliver some pre-loved clothes I managed to sell online and from Makati, they will have to deliver it to Quezon City. I downloaded their mobile app so I can easily access their services wherever I am out of the house and my business won't be compromised. So far, they have been delivering good service to me and my business. But of course, no business is perfect. I have had a little problem with pick-up from them once or twice. I booked a pick-up schedule, yet nobody came around to my house so I had to personally deliver the goods because my customer and I had a specific timeline to follow. But then again, the other times they promptly served me trumped this isolated incidence. I have been one of their frequent customer ever since. ZOOM made shipping your package easier. All you have to do is log-in to your account. 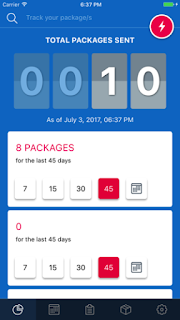 Book a pick-up schedule, make a payment and you can easily track your delivery on your mobile or computer. What I like most about ZOOM is that you can just simply type your tracking number on your homepage to see where if your package has been picked up, in transit and delivered. This gives online sellers and buyers like me the peace of mind and added integrity to your business. ZOOM made everything easier for you. You can easily track or monitor how many packages you have sent or received via their mobile app. There is a package delivery counter for you. What I love best about ZOOM is that they offer no other extra charge. For as low as P40 pesos, for a standard small pouch, you will be able to send your package/parcel without breaking the bank. 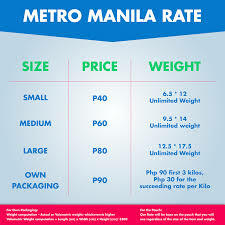 Their rates are not too pricey no matter where you want to have your package sent. Be it Metro Manila or the provinces, they offer a reasonable, competitive price. To know more about their products and services, click here. As an online seller who has been doing business for years, I have narrowed down the list of my reliable shipping partner to a minimum. 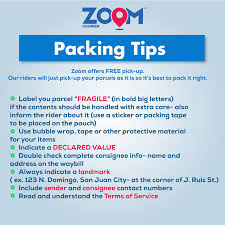 But having tried their service and have successfully closed sales on time and fast, ZOOM just might be the only courier service I will ever need. Sending a package soon? Choose ZOOM. Hi! How's your experience with zoom now? I'm having a bad experience with them kasi 1 week already and the parcel within Metro Manila is not yet delivered?